Competitive exams are becoming harder year by year. So, candidates, you must be ready to accept any challenge that comes in front in your success path. Some of the challenges faced are time management, answering strategies, questioning format and mainly change of the exam pattern. 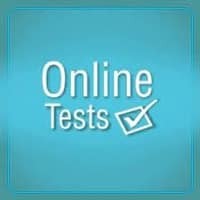 The Indian Coast Guard online mock test can be practiced though you have a busy schedule. Mock tests are also conducted offline. But the thing is that if you attempt an offline model test, you need to wait for results. But you can get immediate results after the online sample tests. So, aspirants, practice the Indian Coast Guard Online Sample Exam and analyze yourself. Thank you guys for practicing Indian Coast Guard Online Sample Exam from recruitment.guru. You can analyze the weaker areas and improvise yourself after taking the ICG mock test 2018. In addition to online model exams, you can also get updates on latest GK. You can practice current affairs online quiz and know the world. Also, get updates on latest employment notifications. I want to be hs level question.